Li Hing Cherry is a favorite for all ages! 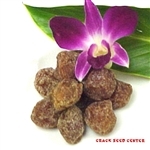 It is a dried cherry that is sweet and moist. Try also our Seedless Li Hing Cherry Strips!